Miracle on 34th Street was a 1947 film written and directed by George Seaton and based on a story by Valentine Davies. 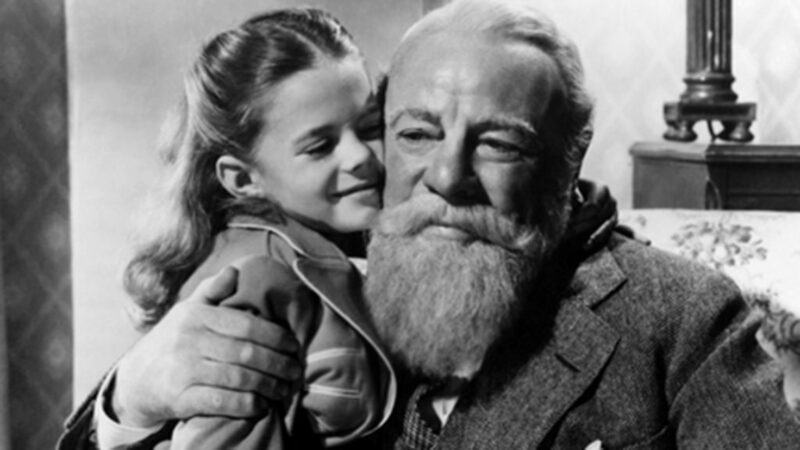 It stars Maureen O'Hara, John Payne, a very young Natalie Wood and Edmund Gwenn as the charming Kris Kringle. The heartwarming story, about a Macy's department store Santa Claus who claims to be the real Chris Pringle, has become a seasonal favorite in America. Edmund Gwenn received an Academy Award for best actor in a supporting role; and Valentine Davies and George Seaton received awards for best original story, writing and screenplay. A modern remake of the film was released in 1994 - but Rotten Tomatoes gave it only 56% on the tomatometer (vs. 96% for the original 1947 version) and 62% audience score (vs. 87% for 1947 version). In 2009 the 1947 film was selected for preservation by the National Film Registry of the Library of Congress as being "culturally, historically or aesthetically significant." 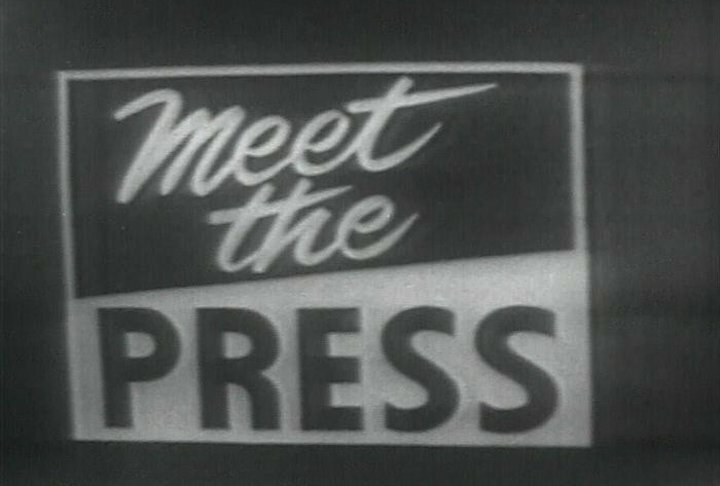 Meet the Press has had the longest run of any television program in the United States. 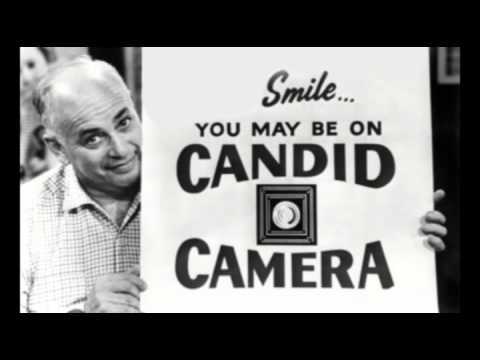 Although it began as a Saturday night program moderated by the charmingly Southern-accented Martha Rountree, it ultimately became a popular NBC Sunday morning show hosted by a series of male broadcasters. Martha Rountree 1947–1953 Ned Brooks 1953–1965 Lawrence E. Spivak 1966–1975 Bill Monroe 1975–1984 Roger Mudd and Marvin Kalb (co-moderators) 1984–1985 Marvin Kalb 1985–1987 Chris Wallace 1987–1988 Garrick Utley 1989–1991 Tim Russert 1991–2008 Tom Brokaw 2008 David Gregory 2008–2014 Chuck Todd 2014–present Recently,Tom Brokaw and Andrea Mitchell reviewed the legacy of John McCain on Meet the Press . The largest wooden airplane ever constructed, the Spruce Goose was actually made from birch. In the face of staggering losses to German U-boats in 1942, the steel magnate and shipbuilder Henry Kaiser asked Howard Hughes to design and build a massive flying transport. Specifications: crew: 3 length 218 feet wingspan 320 feet height 79 feet Pratt and Whitney R-4360 radial engine, 4000 HP cruising speed 250 mph range 3000 miles ceiling 20,900 feet The airplane flew only once on November 2, 1947. 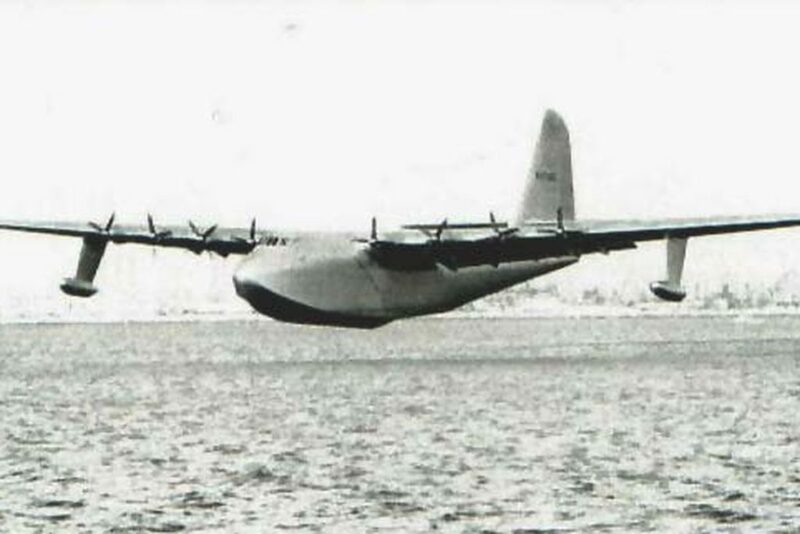 With Hughes at the controls, the Spruce Goose flew just over one mile at an altitude of 70 feet for one minute. After Kaiser withdrew from the project, Hughes retained a full crew to maintain the Spruce Goose in a climate-controlled hangar up until his death in 1976. 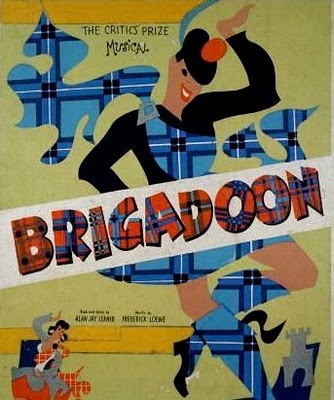 Brigadoon, a musical by Alan Jay Lerner and Frederick Loewe, premiered on Broadway in 1947 and ran for 581 performances. A 1954 film version starred Gene Kelly and Cyd Charisse, and a 1966 television version starred Robert Goulet and Peter Falk. In the show, the American tourist Tommy falls in love with Fiona whom he discovers in a mysterious Scottish village that appears for only one day every 100 years. Many of the tunes of Brigadoon, such as Almost Like Being in Love and Come To Me, Bend To Me are lovely and memorable. This performance by Adam Lambert is breathtaking. 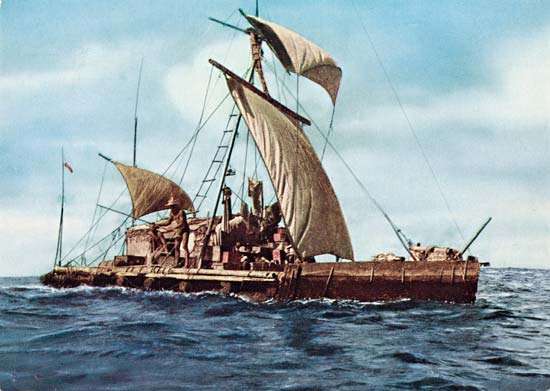 Inspired by reports from Spanish Conquistadors of Inca rafts, native legends and archaeological evidence suggesting contact between South America and Polynesia, the Norwegian explorer and writer Thor Heyerdahl. 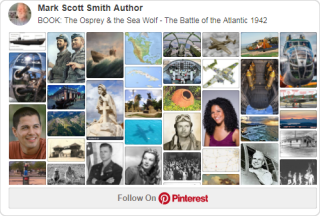 made a balsa wood raft journey across the Pacific Ocean from Peru to the Polynesian islands in 1947. The raft was named Kon-Tiki, another name for the Inca sun god Viracocha. A dramatized film version of the voyage received many awards in 2012. Heyerdahl's popular book The Kon-Tiki Expedition: By Raft Across the South Seas was translated into 70 languages. In 1925, a Canadian patent was filed for the field-effect transistor principle by Austrian-Hungarian physicist Julius Edgar Lilienfeld - but no research was published, and his work was ignored by industry. In 1934, another field-effect transistor was patented by the German physicist Oskar Heil. While there was no evidence any of these devices were built, subsequent work in the 1990s proved one of Lilienfeld's designs to be effective. During World War II, efforts to produce extremely pure germanium (a chemical element and semicondiuctor) "crystal" mixer diodes for radar and microwave units, preceded the development of the transistor. After the war, a Bell laboratory team failed in several attempts to build a triode-like semiconductor device. 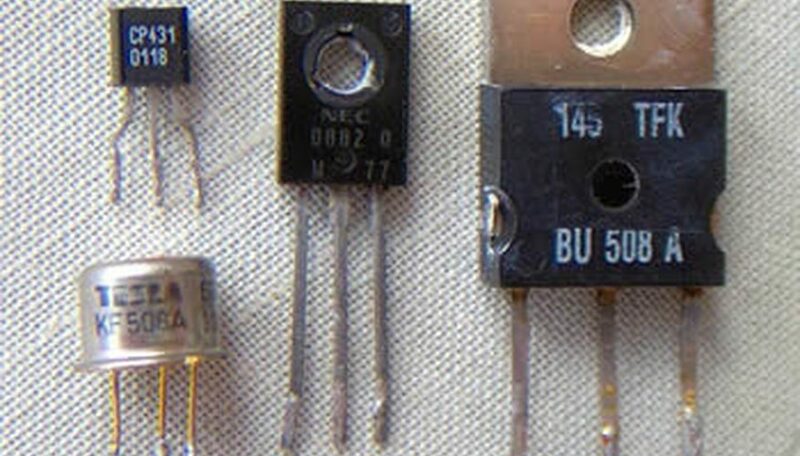 In 1947 Bell Laboratory's William Shockley and a co-worker Gerald Pearson built a successful triode-like semiconductor device that became known as the transistor. Source: History of the transistor WHAT IS A TRANSISTOR? A transistor is a miniature electronic device that acts either as an amplifier or a switch. When it works as an amplifier, it takes in a tiny electric current at one end (an input current) and produces a much bigger electric current (an output current) at the other. When it works as a switch, a tiny electric current flowing through one part of a transistor can make a much bigger current flow through another part of it. Here is an optimistic view of postwar relationships between Great Britain and the USSR. To get a sense of life in the USSR in 1947 it's worth fast forwarding through these interesting, rather upbeat color scenes of everyday life. You don't need to know Russian to understand this brief clip from the popular 1947 film Cinderella. In 1945 the unconditional surrender of Japan led to the division of Korea into two occupation zones. 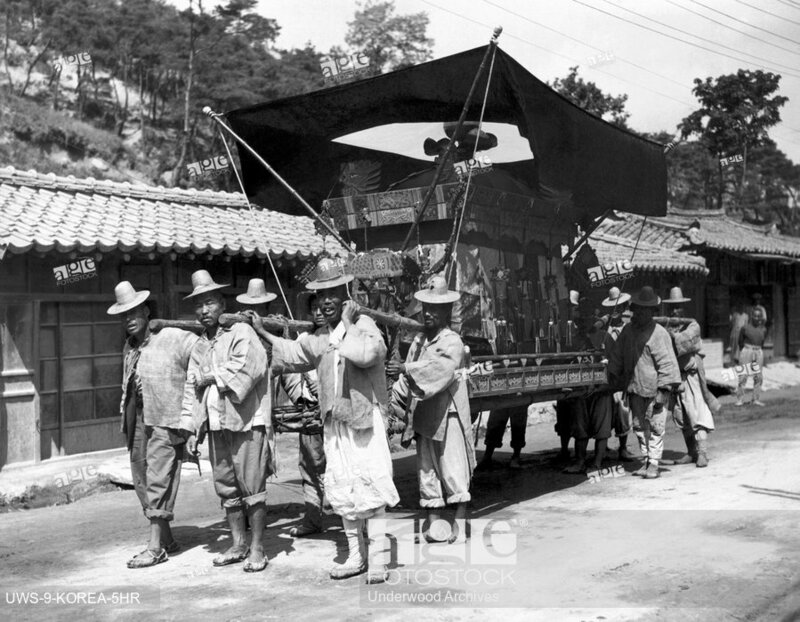 The 1945 division of Korea was meant to be temporary. The stated Allied intention was to reunify the country once a single government could be established for the peninsula. However, throughout 1947, Soviet and American negotiators were unable to reach an agreement regarding joint trusteeship over Korea. In 1947 the United States Army Military Government in Korea (USAMGIK) ruled the southern half of the Korean Peninsula amidst political and economic chaos arising from: USAMGIK retention of former Japanese colonial officials as advisors, administrators, military and police officers USAMGIK opposition to the radical social changes promoted by the short-lived provisional People's Republic of Korea (PRK) which, in 1945 was banned by the U.S. military in the South and co-opted by the Soviets in the north United Nations elections that divided the country Unfortunately, the U.S. military was woefully unprepared for administration of Korea after WWII. With little knowledge of Korean culture, language or politics, many American policies had unintended destabilizing effects. Waves of refugees from North Korea and returnees from abroad added to the country's turmoil. William Franklin Graham Jr. (1918 –2018) was an American Southern Baptist evangelist who held huge rallies, broadcasting sermons on radio and television from 1947 until his retirement in 2005. 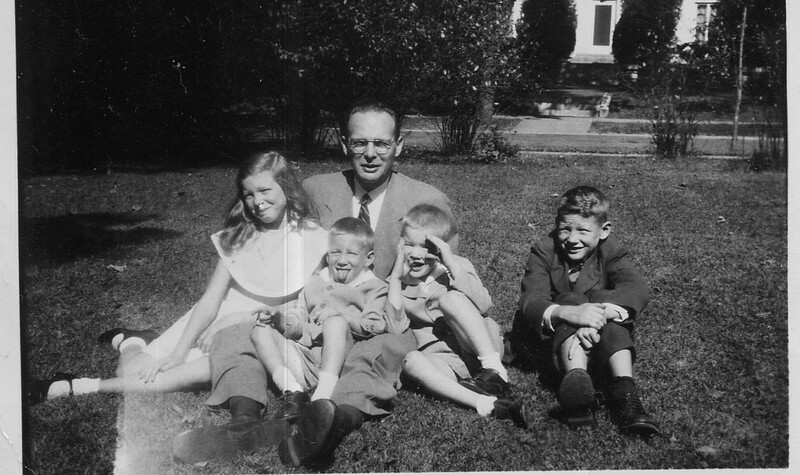 Graham repudiated racial segregation and emphasized the relationship between the Bible and contemporary secular viewpoints. He particularly reiterated the message of John 3:16 in his sermons. Graham claimed to have reached 185 countries, preaching to 250 million people in live audiences. He was also spiritual adviser to every U.S. president from Harry S. Truman to Barack Obama. 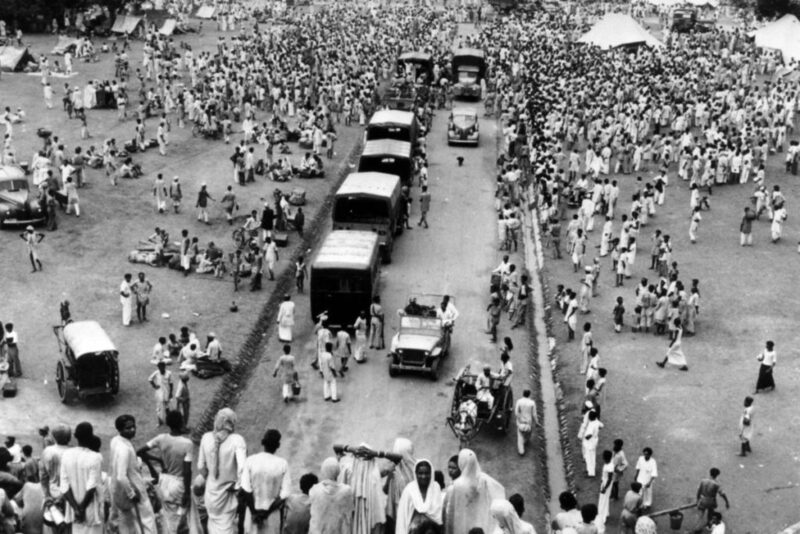 The 1947 partition of India into Hindu and Muslim majorities divided three provinces: Assam, Bengal and the Punjab. The division of >14 million people according to religious beliefs resulted in large-scale violence, with varying estimates between several hundred thousand and two million deaths. Julius Henry "Groucho" Marx (October 2, 1890 – August 19, 1977) was an American comedian with a devilishly-quick wit and and somewhat off-color humor. Marx had a long stage and screen career, making 13 feature films with his brothers. 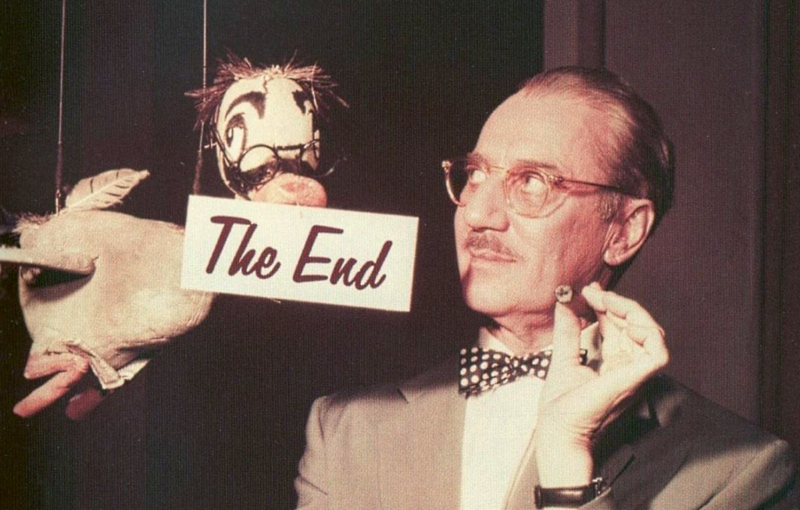 Groucho walked with an exaggerated stoop, puffed on a cigar, and sported a grease-painted mustache and eyebrows, His ABC radio show You Bet Your Life beginning in 1947, later aired on NBC television from 1950 until 1961. Britain, which controlled Palestine since 1917, promoted the idea of establishing a Jewish state in the holy land. With sympathy for Jews greatly enhanced after the Holocaust, the Palestine issue was brought before the newly created United Nations In 1946. A UN plan to divide Palestine into three Jewish sections, four Arab sections and an internationally-administered city of Jerusalem, had strong support in Western nations and the Soviet Union, but was opposed by Arab nations. When the General Assembly voted, 33-13, in favor of partition, its six Arab nations walked out in protest. 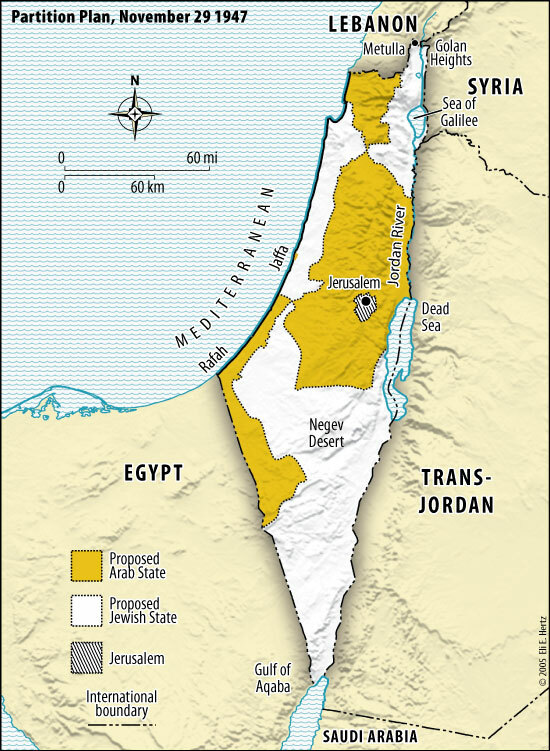 On Nov. 29, 1947, the United Nations General Assembly passed a resolution calling for Palestine to be partitioned between Arabs and Jews, allowing for the formation of the Jewish state of Israel. Reactions to the UN resolution were mixed and complex. Most Jews in Palestine and around the world reacted to the UN resolution with satisfaction, but some Zionist did not, feeling the plan was a renunciation of their legitimate claim to national territory. Arab states' delegations declared they would not be bound by the decision, and walked out accompanied by the Indian and Pakistani delegates. Several Arab leaders vowed to forcefully thwart the partition. After prolonged parliamentary debate, Britain announced in December 1947 that its mandate would end in May 1948, but it would not enforce the UN partition plan. The partition plan did not come about smoothly. Outbreaks of violence between Jews and Arabs in mandated Palestine resulted in the outbreak of the 1947 – 48 Civil War. 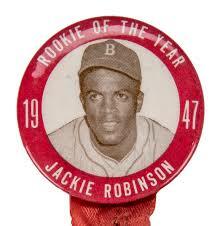 Packaged in red, white and blue, Bazooka bubble gum was first marketed in 1947 by the Topps Company of New York. 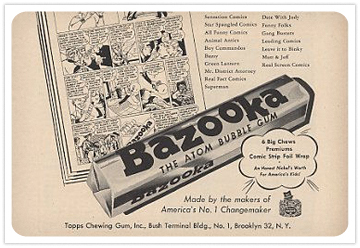 In 1953 Bazooka packaging began to include small comic strips featuring a character known as Bazooka Joe (although I remember the boy named "Pud" from Fleers Dubble Bubble better) as well as premium offers and fortunes. 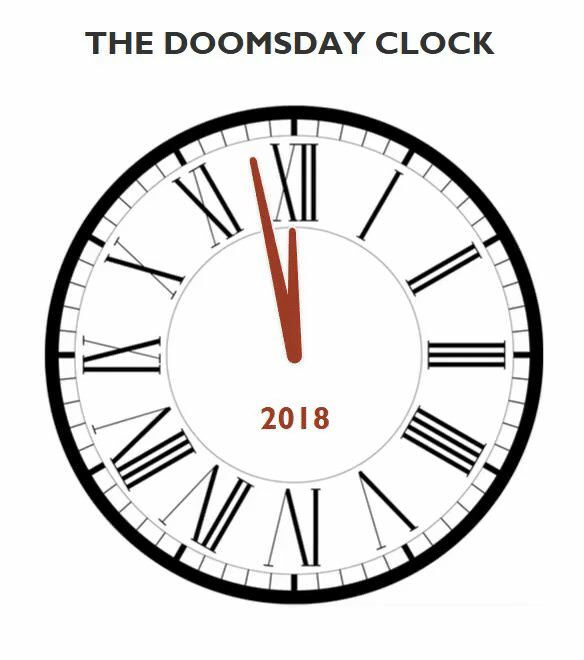 The Doomsday Clock represents the likelihood of a man-made global catastrophe. Maintained since 1947 by the members of the Bulletin of the Atomic Scientists' Science and Security Board, the clock was originally meant to represent the threat of global nuclear war. Since 2007 it also reflects climate change and new developments in the life sciences and technology that could inflict irrevocable harm to humanity. 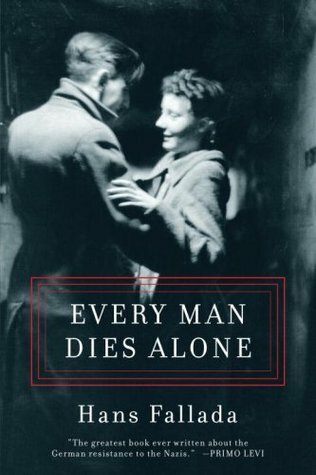 In 1947 the highly-controversial East German author Hans Fallada published Jeder Stirbt für sich Allein (Every Man Dies Alone), a novel about an ordinary married couple who, after their son was killed in action in 1942, distributed dissident postcards and leaflets in post-boxes and stairwells around their home district in Berlin. 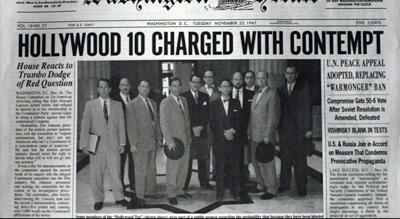 After betrayal, they were arrested by the Gestapo and executed in 1943. Steeped in Berliner dialect, and populated with vivid characters from the city's underbelly, alcoholic Nazi veterans and ordinary working-class people, the novel struck a chord in post-WWII Germany. Ultimately, it was the tale of futile resistance by a brave and reckless couple. The original German version of the book sold well and was filmed for television in both East and West Germany. An English version of the story in 2016 entitled Alone in Berlin, starring Emma Thompson did not receive many good critical reviews. In 1947 the Dead Sea Scrolls were discovered by a Bedouin at the caves of Qumran in Jordan. 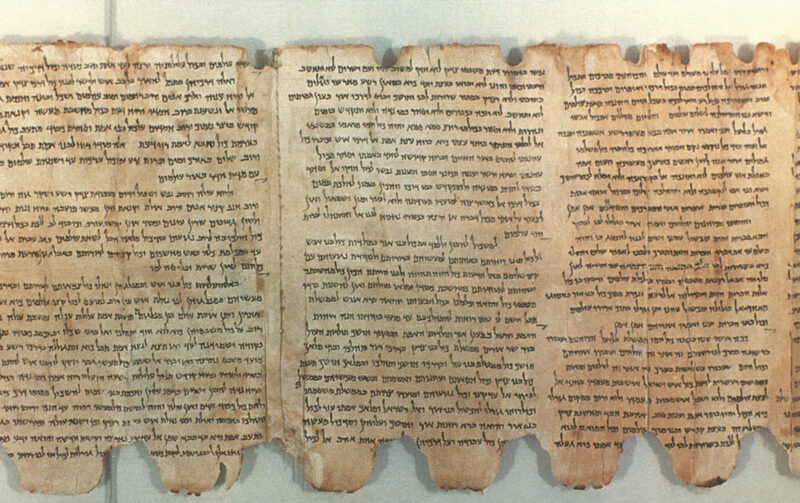 Although written before the Christian gospels, the scrolls contained many similarities, but also some differences from the traditional Masoretic text of the Hebrew Bible. Scroll dates range from the third century BCE to the first century of the Common Era. While mostly written in Hebrew, about 15% of the scrolls were written in Aramaic and several in Greek. The Scrolls are mainly parchment, with some papyrus, and one was engraved on copper. The Dead Sea Scrolls contain two types of texts: parts of the Hebrew Old Testament and sectarian works written by small groups of Jews who lived at Qumran. The scrolls date from the mid-third century B.C.E. until the mid-first century C.E. While the Dead Sea Scrolls do not shed light on the person or ministry of Jesus, they do illuminate practices and beliefs of ancient Judaism. A multitude of books have been written about the Dead Sea Scrolls - some contest the dates cited, others the circumstances around their origin: Dead Sea Scrolls: Selected full-text books and articles Here is a list compiled by the Gnostic Society Library representative of both traditional and dissenting views. Dead Sea Scrolls studies are polarized by debate over whether or not an Essene community dwelling at Qumran wrote them. 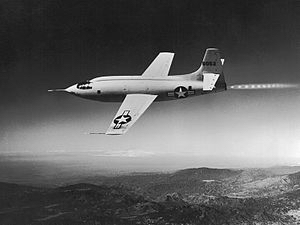 In October 1947, 24 year-old Air Force test pilot Charles E. "Chuck" Yeager flew an experimental Bell X-XS-1 rocket-propelled aircraft out of Edwards Air Force Base (then called Muroc Army Air Field) in California to break the sound barrier at a speed of Mach 1.07. At 10:25 AM, at an altitude 20,000 feet, Yeager's aircraft (named Glamorous Glennis) was released from the belly of a Boeing B-29 over Roger's Lake (the largest dry bed in the world). Blasting four, paired rocket motor chambers, Yeager broke through the sound barrier as he increased airspeed to almost 700 mph and soared to an altitude of 43,000 feet. The XS-1 remained at supersonic speeds for 20.5 seconds, with none of the buffeting that characterized high-speed subsonic flight. The Air Force and the National Advisory Committee for Aeronautics (the forerunner of NASA) did not make the event public until Jun 10, 1948. Established in 1942 for Allied propaganda broadcasts during WWII, the Voice of America (VOA) continued broadcasts after the war aimed mostly at Western Europe. 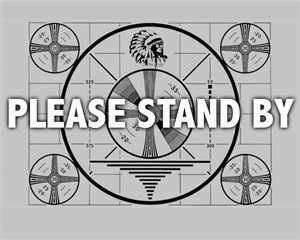 In September 1947, VOA began broadcasts aimed at the Soviet Union with: “Hello! This is New York calling.” Initiation of programs directed at the USSR was intended to provide the Russian audience “pure and unadulterated truth” about life outside the USSR... to “broaden the bases of understanding and friendship between the Russian and American people.” Initial VOA Russian programs provided summaries of current events, discussions of U.S. economic and political systems and an eclectic selection of American music (square dance to Cole Porter). 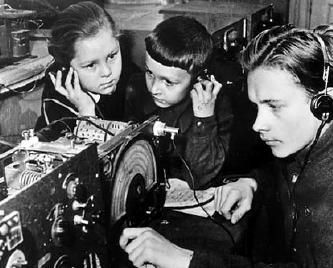 Because of frequent poor audio reception in the USSR (due to weather and technical issues), early VOA broadcasts were not highly rated. However, VOA popularity increased over the years as it began to emphasize modern America music (the Russians were particularly fond of jazz). In 1955, Willis Conover, host of the Voice of America America Jazz Hour, became extremely popular in Communist-bloc countries. These images seem reflective of the sense of hope and prosperity of post-WWII middle-America. I was only five years old at the time - yet many of these images seem familiar to me. How about you? In July1947, an unidentified disc-shaped object, apparently crashed from the air, was found near Roswell, New Mexico. Although there was initial widespread interest in the possibility it was an extra-terrestrial craft, the US military claimed it was merely a conventional weather balloon. After interest in unidentified flying objects (UFOs) was rekindled in the 1970s, and it was rumored that alien occupants had secretly been recovered by the military, the US military published two reports in the 1990s stating the crashed object was in fact a nuclear test surveillance balloon from Project Mogul. An interesting summary of the topic entitled UFO Sightings & News was published in Live Science - December 20, 2017. An intriguing review of the Pentagon’s Mysterious U.F.O. Program was published in the New York Times in 2017 A comprehensive statistical summary of 121,036 eyewitness accounts was published in 2017 with the title UFO Sightings Desk Reference: United States of America 2001-2015 The issue does not seem to be closed. 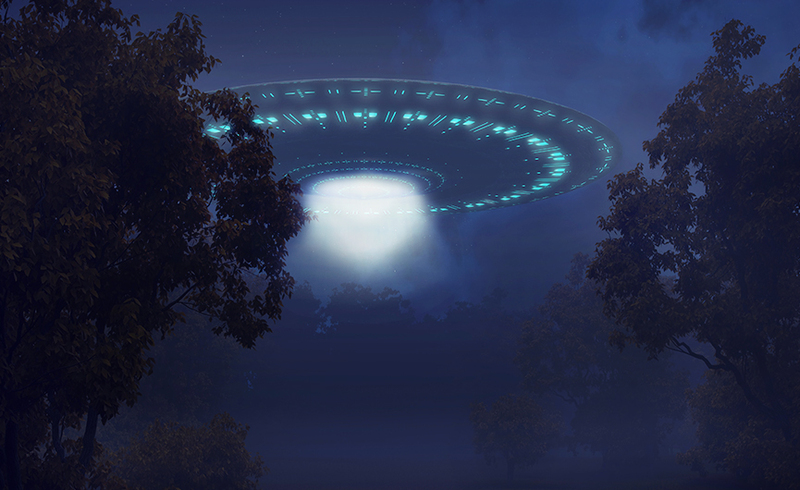 Despite Pentagon denials of credible UFO sightings, many seemingly-responsible military and commercial pilots have related impressive details of close encounters with highly-maneuverable UFOs. UFOs: Generals, Pilots, and Government Officials Go On The Record by Leslie Kean contains first-person accounts of over a dozen high-ranking military and government officials, including generals from five countries. Although skeptical of most reports, I was particularly impressed by the quality of the last book mentioned (UFOs:Generals...) What do you think? 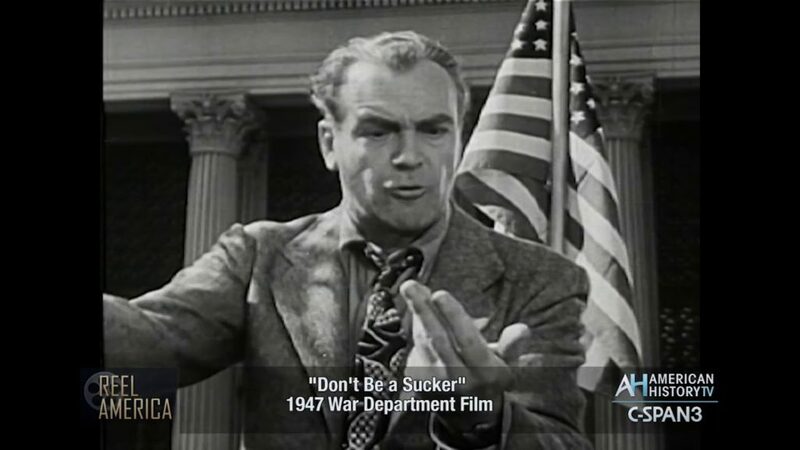 This interesting War Department film from 1947, with anti-racist and anti-fascist themes, warns Americans not to let let fanaticism and hatred turn them into suckers. However, with the emerging Cold War, this rhetoric seems oddly out of synch.. In August 2017, the film went viral on the internet in the aftermath of the violent Unite the Right rally in Charlottesville, Virginia. Based on American models, the Supreme Allied Commander General Douglas MacArthur directed an effective restoration of the industry and society of occupied Japan. The majority of the Japanese people apparently welcomed his progressive reforms. Most important, after Japanese initial Japanese attempts were deemed too conservative, MacArthur and his staff essentially wrote a new Japanese constitution to replace the 1889 Meiji Constitution. In May 1947, Japan’s postwar constitution went into effect. The constitution: • created a parliamentary system of government • granted universal suffrage • reduced the Emperor's power to a symbolic role • stipulated a bill of rights • abolished hereditary or honorary government positions • prohibited the nation from declaring war Article 4 of the 1947 Japanese constitution: The Emperor shall perform only such acts in matters of state as are provided for in this Constitution and he shall not have powers related to government Although the national flag of Japan is officially called Nisshōki (日章旗, the "sun-mark flag"), it is more commonly known as Hi no maru (日の丸, the "circle of the sun"). The sun plays an important role in Japanese mythology as the Emperor was said to be the direct descendant of the sun goddess Amaterasu. 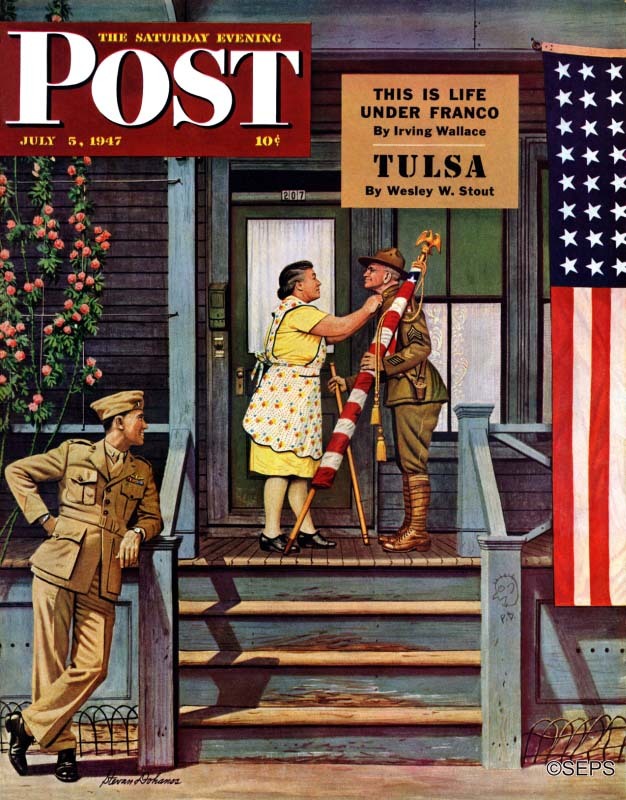 Since the end of WWII, the continued use of the circle of the sun flag and the national anthem Kimigayo has been contentious. Disputes have led to protests and lawsuits in Japan and the flag is not frequently displayed due to its association with ultranationalism, aggression and imperialism. 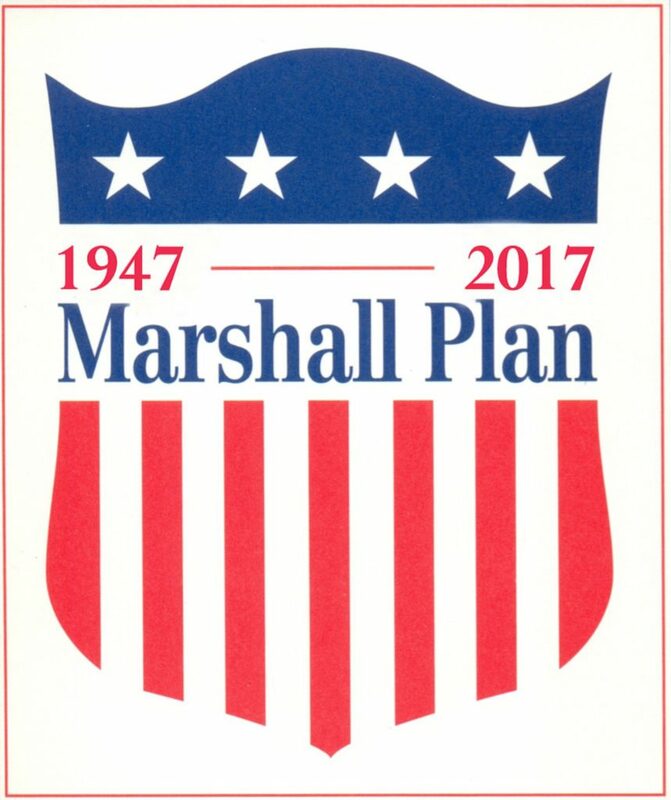 Named after United States Secretary of State George Marshall (U.S. Army Chief of Staff during WWII), the Marshall Plan (European Recovery Program) had bipartisan support in Washington. An American initiative to assist Western Europe with recovery after WWII, the Marshall Plan gave ~$13 billion in aid to promote reduction of interstate barriers and excessive regulations as well as to encourage business productivity, labor unions and modern business procedures. Marshall Plan Eastern Bloc Countries Although 18 European countries received benefits from the plan, the USSR refused to participate and blocked the involvement of Eastern European countries under its control. 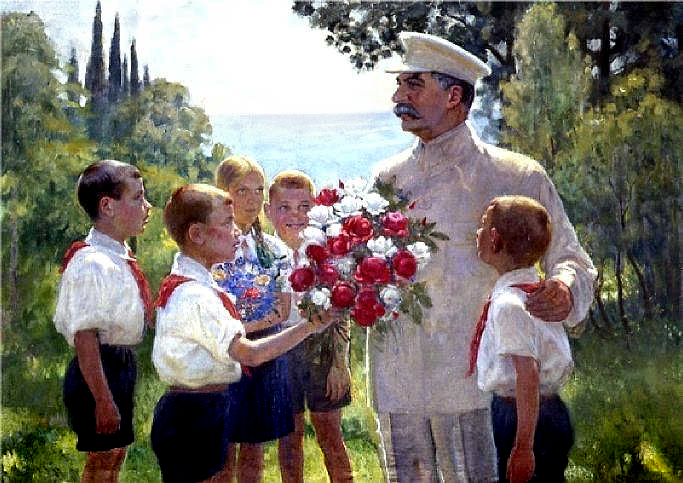 In order to combat the effects of the Marshall Plan, the USSR developed its own economic plan - the Molotov Plan which created an economic alliance of socialist countries. Criticism of the Marshall Plan Historians, such as Walter LaFeber described the plan as economic imperialism by the USA, and an attempt to gain control over Western Europe, much as the USSR controlled the Eastern Bloc countries. Economist Wilhelm Röpke criticized the plan for subsidizing a failing system and thereby hindering transition to a free market system. Journalist Henry Hazlitt argued in his book Will Dollars Save the World? that economic recovery requires savings, capital accumulation and private enterprise - not large cash subsidies. In his book The Age of Turbulence, Alan Greenspan (Former US Chairman of the Federal Reserve Bank) gave credit to German Chancellor Ludwig Erhard for Europe's economic recovery - not the contributions of the Marshall Plan. In the end, the Marshall Plan did promote integration of European economies in a mixture of public and private economic sectors similar to that which existed in the USA. This reorganization also proved to be a boon for American investment. 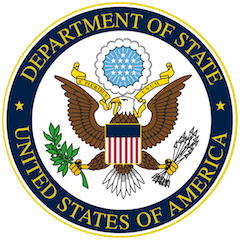 In 1946, the American Chargé d’Affaires in Moscow George F. Kennan proposed the concept of "containment" in his famous 8,000-word "long telegram" to the U.S. State Department. These suggestions became the foundation of U.S. 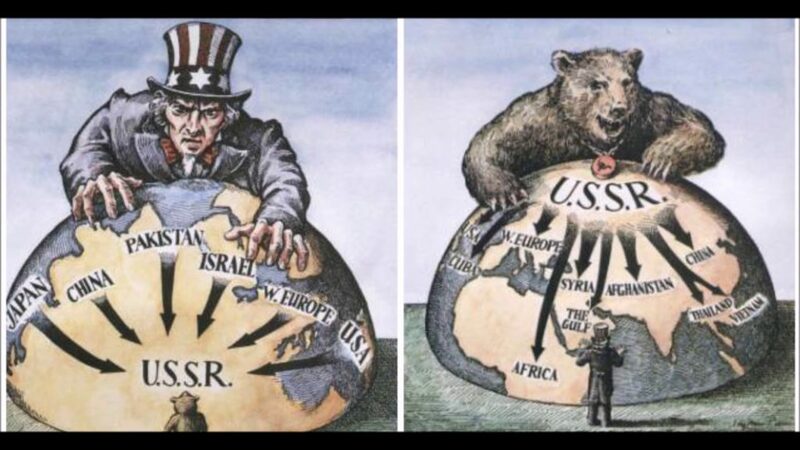 Cold War policy in the 1940s. 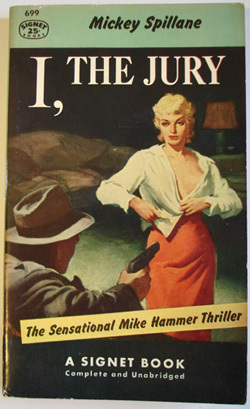 in 1947, under the pseudonym “Mr. X,” Kennan further outlined the concept in an article entitled The Sources of Soviet Conduct published in the highly-respected political journal Foreign Affairs. The Russians can't be trusted and they probably won't be changed. The main element of U.S. policy toward the Soviet Union, Kennan declared, must be patient but firm and vigilant containment of Russian expansive tendencies.